Iran has announced that its regional rival Saudi Arabia has sought its mediation in the settlement of the Yemen conflict as the international coalition led by Saudi Arabia seeks to dialogue with Iran-backed Houthi rebels. “After years of war, Saudi Arabia reached the conclusion that war cannot be a solution to the crisis,” Hossein Amir-Abdollahian, chief adviser to the speaker of the Iranian parliament told Sputnik Arabic. Saudi Arabia, since 2015, has been leading a coalition of Arab countries to overcome Iran-backed Houthi rebels who have captured capital Sanaa and control large swathes of the poorest Arab country. The country’s internationally recognized President Abdrabbuh Mansour Hadi has been forced to leave the capital and to retreat to Aden; the second largest city following a short exile in Saudi Arabia. The Houthi rebels have been also capable of firing rockets into Saudi Arabia, near Riyadh, and afflicting losses. 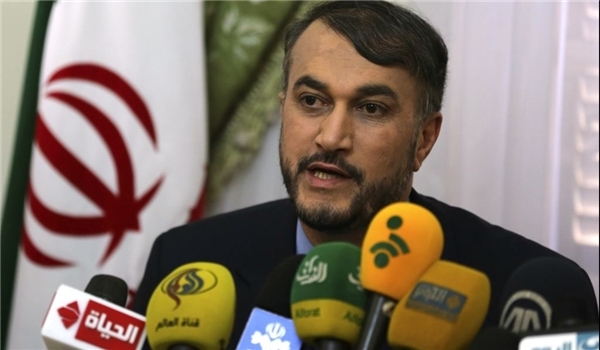 Saudi Arabia and ally United Arab Emirates (UAE) have ruled out Iran’s role in the political settlement of the conflict, which has caused the death of over 10,000 people. Posted by KanelkaTagba on Sep 15 2017. Filed under Gulf News, Headlines. You can follow any responses to this entry through the RSS 2.0. Both comments and pings are currently closed.